Submitted by Social Capital Inc. on 07/25/2018 - 1:18pm. 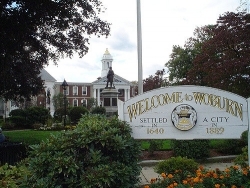 Woburn City Clerk Bill Campbell is planning a big Voter Weekend set of activities in advance of the August 15 deadline to register for the September 4 primary election. This will include a voter registration event on Saturday, August 11 from 9 a.m. to noon at City Hall. Absentee ballots for the election will be available at this time, too. City Hall will also be open for voter registration until 8 p.m.on the August 15 deadline date. There are a lot of important races, including two open state representative seats, so stay tuned for more info on this event! Submitted by Candice McLaughlin on 04/10/2013 - 10:44am. TONIGHT is the deadline for registering to vote in the special state primary to choose party candidates to run for the senate seat left vacant by John Kerry. The city clerk's office will be open late to give residents more time to register. Residents have until 8PM to register. "This is the deadline to be eligible to vote in the Special Election on April 30th to select a new U.S. Senator. If you moved, changed your name, or your local census form was not received at city hall, you may encounter an issue at the polls. In some cases, you will have to fill out an affidavit and show identification at the polls. In other cases, you may not be able to vote. By acting now, you can avoid that inconvenience." Today is the last day to register to vote in presidential elections or any federal and state races. 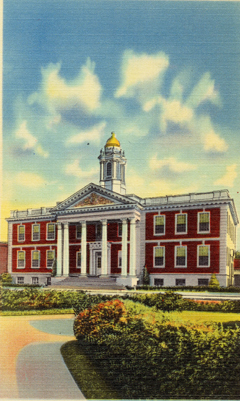 If you have not already registered, you can go to the Woburn City Clerk's office on the first floor of City Hall to register. The office will be open later than usual. For more information on how to register to vote, click here! Read more about Massachusetts Voter Registration Deadline!